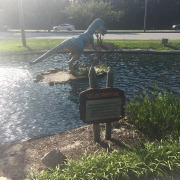 Did you know that a piece of the Jurassic era has been preserved at a secret parcel of land in Myrtle Beach? 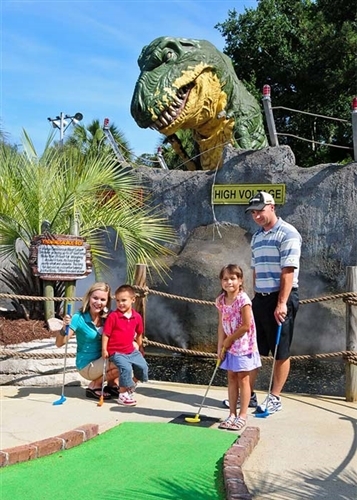 Jurassic Golf lets you travel back in time and come face-to-face with dinosaurs such as a dilophosaurus, a T-Rex, and a raptor all while having fun. 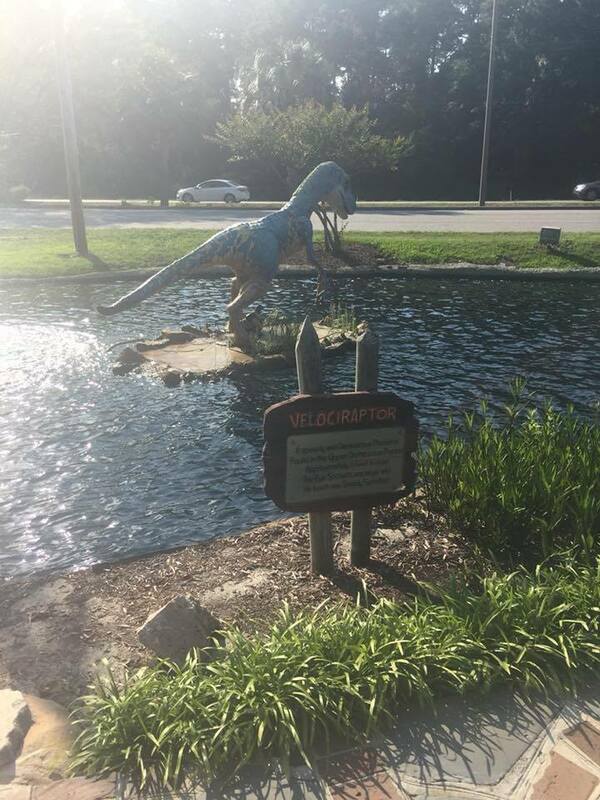 Be on the lookout for sneaky dinosaurs and Jurassic creatures. You never know where one might show up! 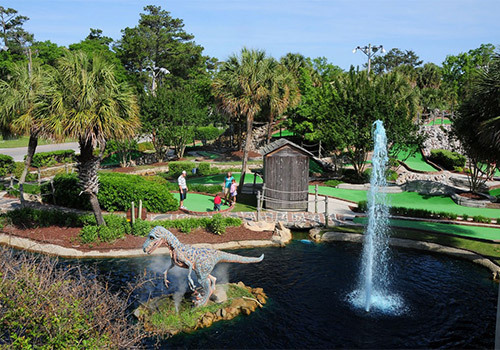 No other Myrtle Beach mini-golf course can compare to the theme and challenge of Jurassic Golf. 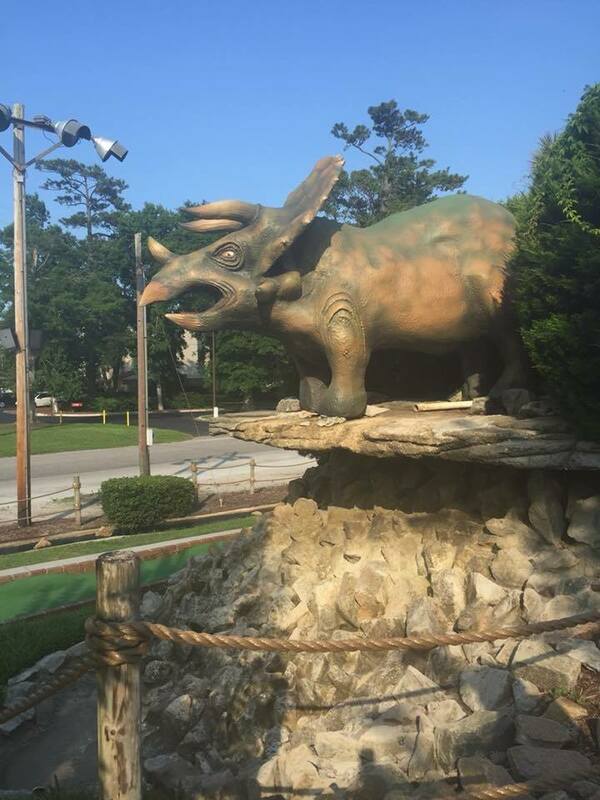 Not only is the objective to shoot the lowest score in your group but also to avoid the danger of the pre-historic animals that scientists claim to be extinct. 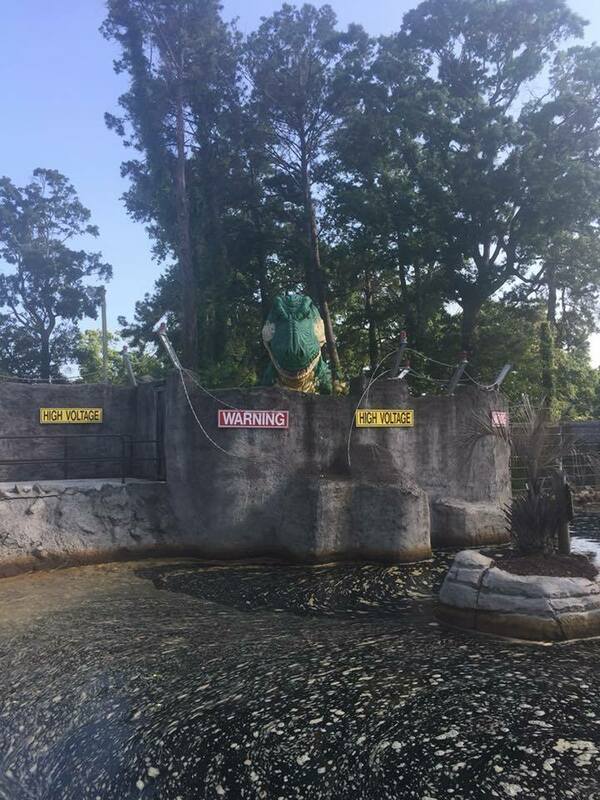 After your round of mini-golf, we’ll see if you agree with that theory. 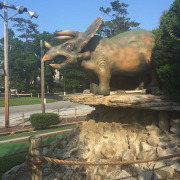 What are the hours of operation for Jurassic Golf? 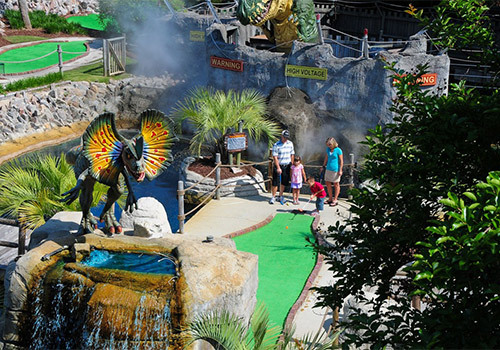 Jurassic Golf is located at 2900 South Kings Highway in Myrtle Beach. 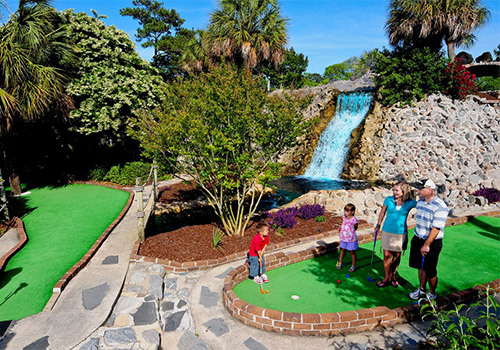 Does the mini-golf course have rules? 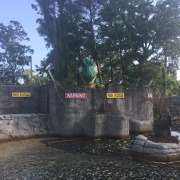 There is a six-stroke limit per hole. 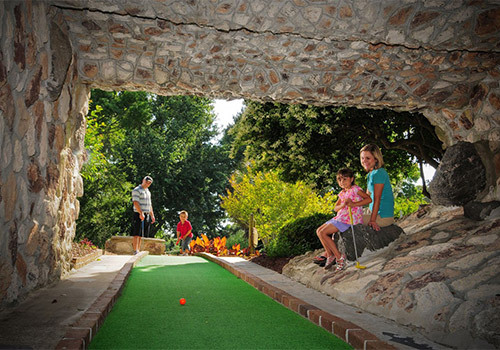 As a courtesy to others, no more than 5 people may play at a hole at one time. Please stay on the sidewalk. Do not swing the club above your knees.